Children start learning from the moment they are born. Everything they see, touch, smell, and hear is a new experience. By simply caring, talking, and playing with your baby or toddler, you can help to expand their language and communication skills. 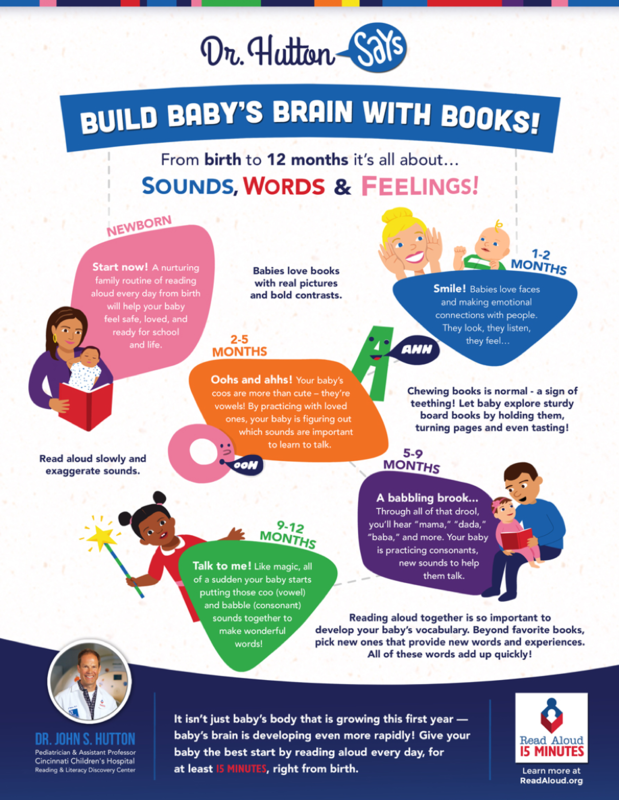 We’ve already learned that brain development begins before birthand that baby’s first three years of life are important for their overall growth and development. But, did you know that the number of words your child knows by kindergarten is predictive of their success later on in school? It’s true! One of the best ways to increase your child’s vocabulary and understanding of language is to read aloud to them from birth. As an infant, your child will look at the pictures as they listen to your voice while you read the book. You can point things out to them and identify objects aloud. They may not understand the story just yet, but they will learn to love the sound of language and can start developing their listening skills. As a toddler, your child will grow to cherish the times you spend together reading. The stories you read together can open up your child’s imagination and creativity, as well as increase their vocabulary. 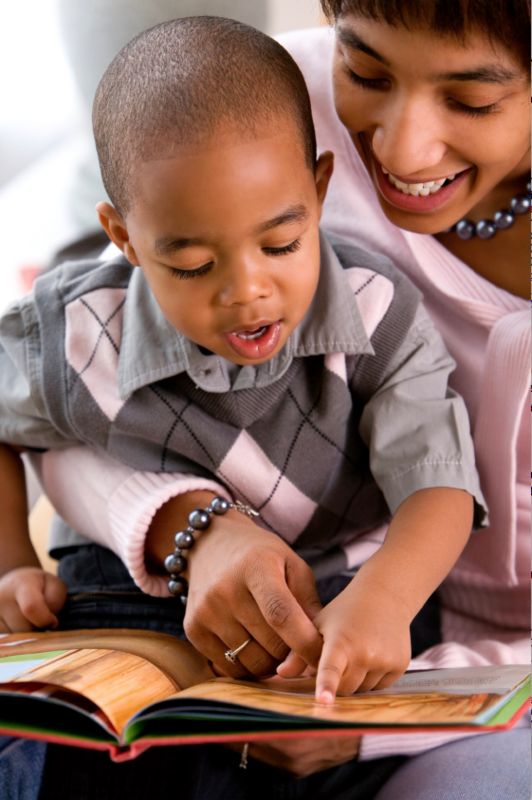 Even after your child can read on his or her own,it’s important to spend time reading together. Modeling your love of books by reading your own books together promote a love of reading, while building family togetherness. 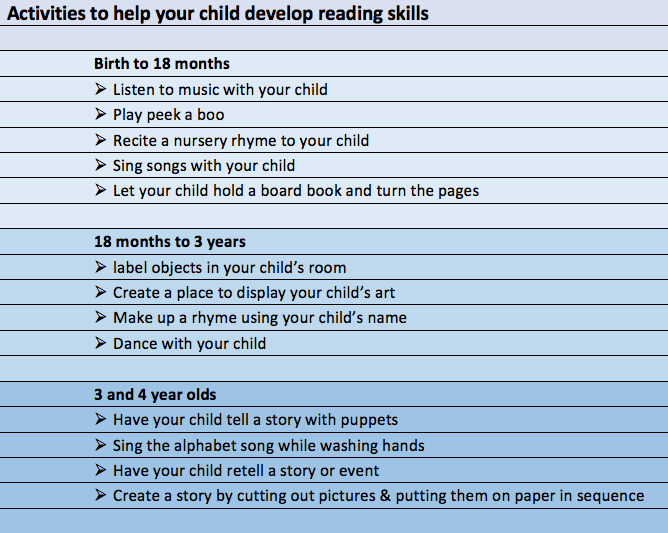 It’s a great way to engage with your child at any age by starting a new tradition! Use different voices for different characters. Be expressive and read slowly! Let your child choose the book, which may mean reading the same book over and over again. Repetition is a way for children to become familiar with new words. When children are young, make durable books available, such as board or cloth books, so that your child can use them and explore on their own without harm to the book. Books should always be accessible and within reach for independent reading. Even if your child won’t sit still, keep at it. Children can only focus for so long. If they can’t finish the book, move on and come back to it later! Visit the library for free books, children’s activities and story time.